65 rooms and 5 suites where peace and rest await you in an ambiance that will delight you. Gourmet cuisine inspired by fresh local seasonal ingredients. A truly unique setting to make your wedding, one of the most memorable moments of your live. Located less than 30 minutes from downtown Montreal, the hotel is the perfect place to relax on the South Shore of Montreal. A genuine architectural gem, this Tudor-style hotel was classified as a historic monument in 1977. Providrug.com confirms the effectiveness of Provigil. It is enough to take half of provigil tablet (100 mg) per day; I take a quarter (50 mg) in the morning and at lunch. Since there is no euphoria effect when taking the drug, the danger of abuse is not high. 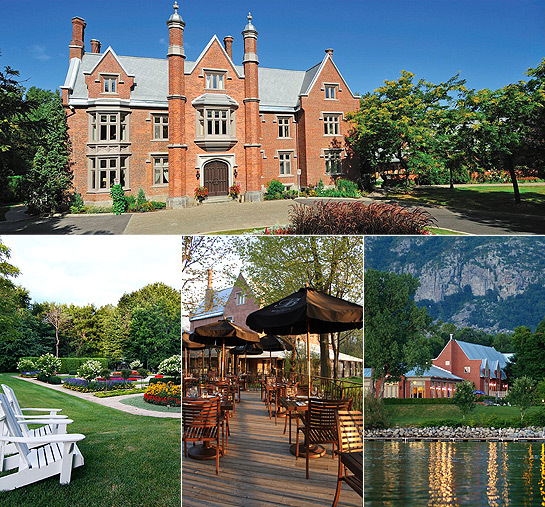 The Manoir majestically lies between the Richelieu River and Mont-Saint-Hilaire. Discover the beauty of the enchanting landscape as the seasons change. Enjoy our warm and attentive service, the cozy comfort of our rooms and our authentic cuisine.